You probably have a web site, blog, and a LinkedIn profile. If you are on the leading edge, you are on Facebook, and have posted videos on YouTube. But is all of this giving you exposure? Are you being called by media? And how are you doing in your search engine rankings? How to prevent others from hijacking your identity on aggregator web sites. How an Anchor and Outpost strategy can significantly increase your exposure - and your search engine ranking. How to develop your own YouTube Channel. How to have your blog entries automatically appear within Amazon.com. How to update your "status" on all of the social networking sites with one click. How to use QR Codes to help drive real-world users to your web properties. How pay-per-click advertising fits into the mix. Which PR sites you should join - and which you should not. How to use Social Bookmarking to extend your time investment even further. How to monitor your reputation. How to significantly cut down your maintenance time by using the hidden integration power of the social networks. why not let people know about it? 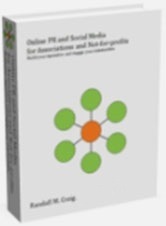 Build your reputation and engage your stakeholders; step-by-step information on building and managing an Association's Social Media strategy and Risk Management Policies. We are currently updating this to a completely new 2nd edition. Randall Craig serves on the National Board of the Canadian Association of Professional Speakers, President of the consulting firm 108 ideaspace, and the author of seven books, including the bestseller Personal Balance Sheet, Social Media for Business, and the recently released Everything Guide to Starting an Online Business. Book Author: Create buzz for your new books - or keep the old ones off the backlist. Develop a community with your readership! Subject Matter Expert: Establish a track record of your expertise, and position yourself as an expert source within the larger community. Consultant or Speaker: Make it easier for the media to find you; credentialize yourself as "the" expert in your field for prospects and clients. 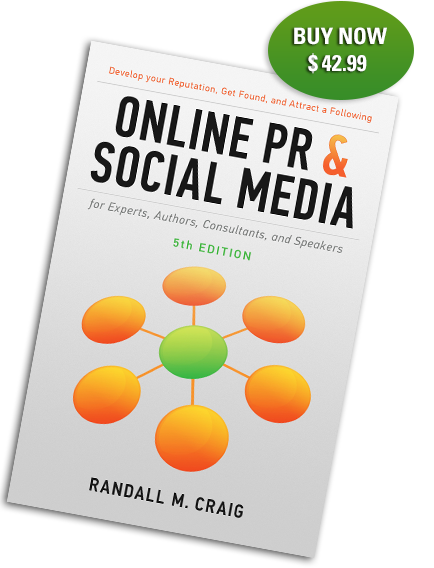 PR Professional: Quickly understand how to integrate Social Networking into your clients' PR Strategy - along with the steps required to do it for them. Political Candidate: Reach out to your constituency and establish credibility with your supporters. Job Seeker: Don't "hide" in the hidden job market. Expose yourself to recruiters and hiring managers who are looking for someone with your precise qualifications. Senior Executive: Develop profile throughout your industry by ensuring your voice is heard beyond your organization. "A MUST-read for any professional. It will give you the how-tos, the should dos, and the don't-ever-dos to make your investment in Social Media Marketing pay big dividends." "Randall is a perceptive, highly innovative thinker with an acute awareness of the fundamental principles of business and a sincere curiousity in the promise of technology and how it can improve the human condition."